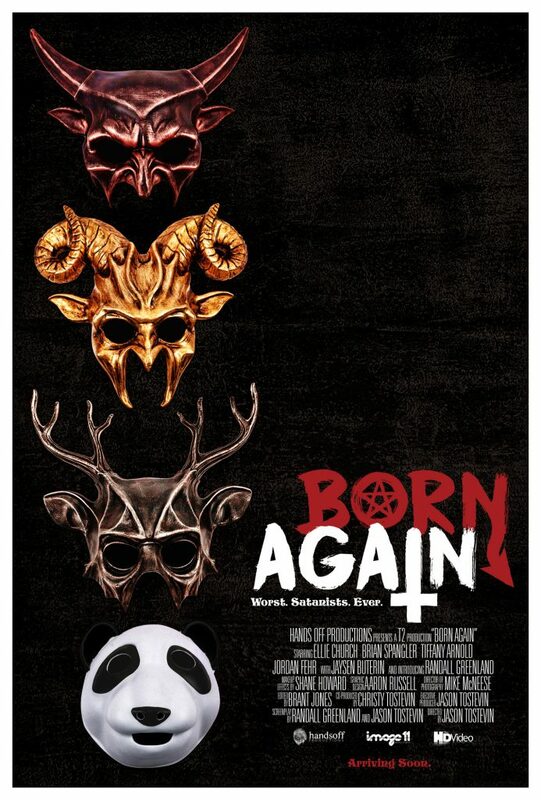 Born Again is a new 7 minute, Horror/Comedy short Co-Written by Randall Greenland and Jason Tostevin (who also directs). Born Again places you right in the thick of a clumsy trio’s devil summoning ceremony. A vessel (played by the lovely Ellie Church) lay on the table, legs spread, ready to give herself over when the fourth party arrives shortly thereafter. 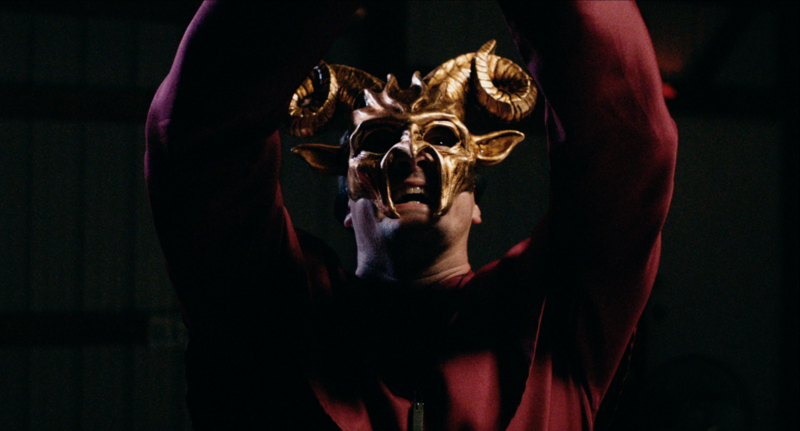 Seemingly the most dense of them all, Greg (also played by Randall Greenland) realizes the ritual is going pear-shaped and it might just be too late to do anything about it! The film also stars Brian Spangler, Tiffany Arnold and Jaysen P. Buterin. Right off the bat I noticed Tostevin gauged a perfect sense of tone for his and Greenland’s cult themed premise, doing so through great lighting and Mike McNeese’s simple but diverse shot choices. The audio track is surprisingly clear given the film takes place inside a shed. There’s two things one can learn from watching Born Again. One, comedic timing is everything, and secondly, silence is golden. 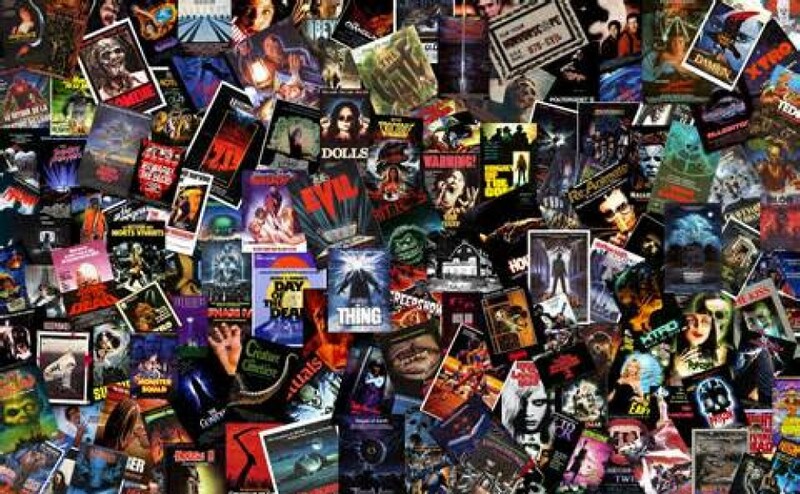 Both are examples of simple rules so often attainable but rarely applied, especially when mixed with the horror genre. You can tell just by watching this, that both Randall and Jason are no doubt funny guys in real life because it bleeds into the script. All of the cast more than do their bit and they clearly understand what is likely to generate natural chemistry. From the moment Greg shows up, it’s all about the humor in his interjections during the sacred ceremony. He can’t make heads or tails of the cloak, his mask looks like Kung-Fu Panda and he’s genuinely out of his depth in the best possible way. At one point there’s a lengthy as hell pause between all the characters, and that is in fact the best and funniest moment (in a number of funny moments) but it takes the right personalities to get it done. The finale is just a wonderful culmination of something that was one way or the other, doomed from the beginning. Credit to the practical fx team for the quality of blood and gore too. My only minor complaint in this speedy 7 minutes was the look of the expanding belly of Ellie’s character. It appears as if Jason and Co opted for the practical route in order to avoid hokey CG (I apologize if I’m wrong), and while I can respect that, unfortunately the hands on approach doesn’t end up looking a whole lot better, albeit, the imagery is brief. I recently reviewed a similarly entertaining cult themed short called “Born Of Sin” *see review* https://adamthemoviegod.com/born-of-sin-review/ but I’ve been waiting for something a little more light-hearted like this for a long time. The technical aspects are fantastic, the premise is actually funny, and more importantly, the cast have great comedic sensibilities. Short films like this one are all too rare and aside from a misstep in regard to that tricky practical effect (it is at the best of times), Born Again is as good as they come. 2017 has been a great year for short film but this one might just be the best of the year. I can’t wait to get my hands on some more of Jason and Randall’s work and if you like other quirky shorts like Jason Kupfer’s “Invaders” *see review* https://adamthemoviegod.com/invaders-review/ or Chris McInroy’s “Bad Guy #2” https://adamthemoviegod.com/bad-guy-2-review/ I suggest you click on the link below and get watching!